I love books, and have worked in several libraries. And there are several out there in the universe I wish were real so I could visit. Okay, so maybe being in a library over the Hellmouth is a bit much. Think of how quickly all those books would be destroyed! 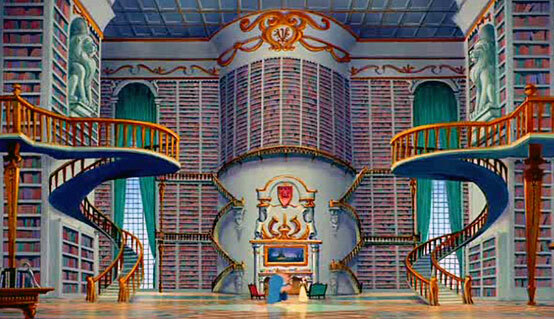 I would marry the Beast just for his library. 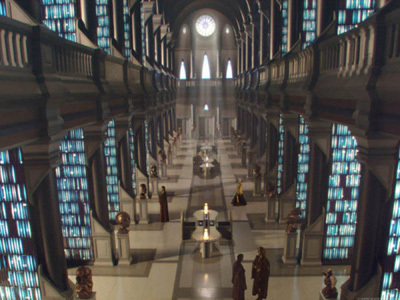 The Jedi Library. I bet there's ton of stuff in there, most of which is in a language I don't know. It may not look like a library, but it is. The entire planet is one giant home for books, as detailed in Doctor Who. Any of you have favorite fictional libraries? I love in one episode of BtVS, Johnathon and another student come into the library to get some books and Xander's all, "What are you doing here?" I too would marry the Beast for his library.